Finds New Friends in exchange for an honest and unbiased review I couldn’t refuse. We couldn’t wait to see what new adventures Terry Treetop was going to go on. 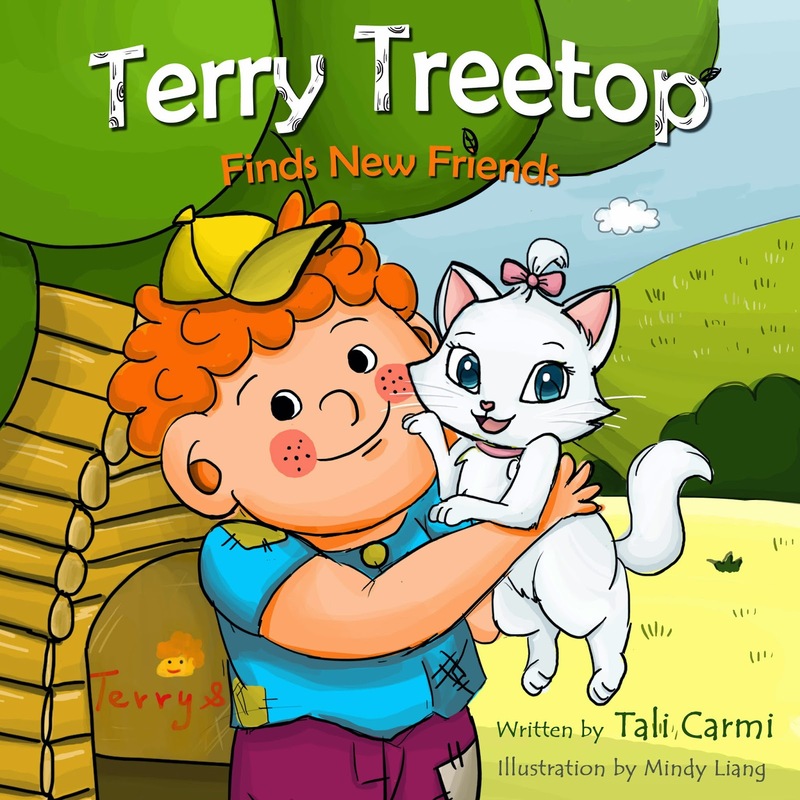 In Terry Treetop Finds New Friends Terry sets out to find some friends to play with him in his new tree house his dad has just built for him. Unfortunately everyone he asks to play is too busy working. But as Terry is walking home, sad and feeling lonely, he hears a cry from help. Kitty Kitten is stuck in a tree! Everyone runs to help but no one can climb a tree like Terry. Terry saves Kitty and then everyone heads over to Terry’s tree house for a party. Now Terry is no longer alone. The illustrations are amazing. my daughter likes to just sit and go over all the details and talk about each picture before we flip to the next screen. The story is engaging for little ones. My daughter is almost 5 and she really enjoys the Terry Treetop stories. Even as an adult I enjoy them. Each story is filled with colorful pictures and stories that little ones love to hear. I would highly recommend this to the 1st grade and under crowd. I received a digital copy of Terry Treetop Finds New Friends complimentary for evaluation purposes. Regardless, all opinions expressed are still 100% my own. I am disclosing this in accordance with Federal Trade Commission 16 CFR, Part 255 Guides Concerning the Use of Endorsement and Testimonials in Advertising.